Senators on Tuesday tentatively approved a resolution that aims to solve the state's transportation funding woes by diverting future revenue from the Rainy Day Fund. Despite concerns raised by both Republicans and Democrats, senators on Tuesday tentatively passed a resolution that aims to solve the state's transportation funding woes by diverting future revenue from the Rainy Day Fund. Senate Joint Resolution 2, which would eventually have to be approved as a constitutional amendment in November by voters, would split a portion of oil and gas severance taxes currently earmarked for the Rainy Day Fund between that fund and the State Highway Fund. 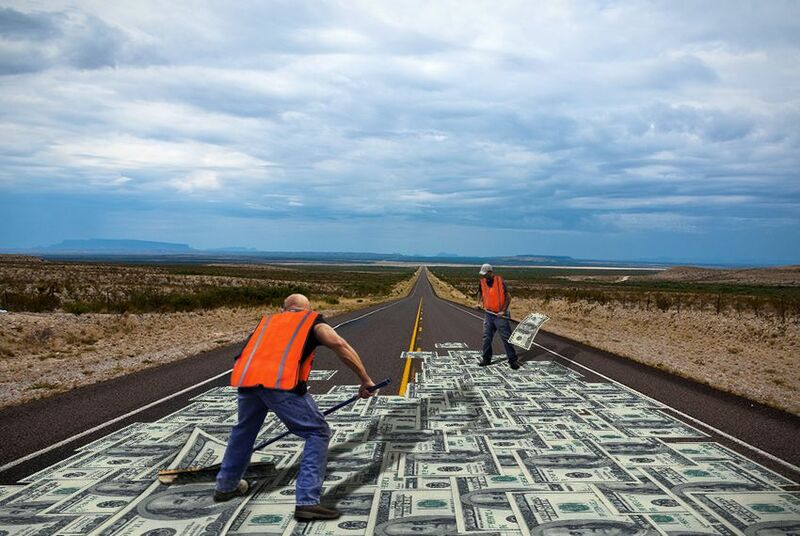 With traffic on Texas roads continuing to rise and transportation funding at a 10-year low, the state's department of transportation "needs a revenue stream that allows for future planning," said Senate Transportation Chairman Robert Nichols, R-Jacksonville. In committee, Sen. Dan Patrick, R-Houston, pushed Nichols to add language blocking the diversion if the amount in the Rainy Day Fund drops below $6 billion to ensure it would not ever be fully depleted. During Tuesday's debate, Sen. Robert Duncan, R-Lubbock, and Sen. Tommy Williams, R-The Woodlands, questioned whether the $6 billion floor was necessary. "Unfortunately we are in an echo chamber here and people repeat things over and over again and think they are true," said Williams, the Senate Finance Committee chairman. "I'm not sure 6 billion is the right number, I'm not sure I think that any number is the right number for this purpose." Lawmakers should "keep an open mind," Duncan said, and continue to consider where to set the floor or whether one was needed at all. "I think the right number is important, more important than the political number," he said. "I don't think two or three members of the Legislature should decide [what that number is]." The Legislature will probably have to review the overall purpose of the Rainy Day Fund soon, Nichols said, and that would be a better time to revisit the diversion in SJR 2. "We will have to review the whole thing, and that would be a good time to go back and review some of these other numbers," he said. The resolution is estimated to add nearly $1 billion a year for transportation, money that would keep coming in until the drilling boom dies. But, as Sen. Kevin Eltife, R-Tyler, pointed out, that is only a fraction of the $4 billion a year that transportation officials say that TxDOT needs to maintain current traffic levels. "This problem is not going to go away. It's only going to get worse. The 4 billion barely relieves congestion," he said. "As politicians we don't need to go around thumping our chests saying we fixed the problem. We need to be realistic to voters and taxpayers and tell them it's going to take more money in the form of new revenue to fix this problem." Sen. Wendy Davis, D-Fort Worth, sought to ensure that the proposal would not restrict a portion of oil and gas taxes that the Texas Constitution dedicates to public education. She asked for a "clarification that there is a still continuing obligation" for that money to flow to public schools. Nichols said that both the comptroller and the Legislative Budget Board had been "very clear" that such a clarification was not needed. "I don't think there is a contradiction. I think it's working just fine," he said. SJR 2 needs a final vote to officially pass the Senate, and it must be approved by the House, where lawmakers have offered their own proposals. Instead of directly pumping up the highway fund, House Joint Resolution 16 from Rep. Joe Pickett, D-El Paso, would send some of the revenue currently earmarked for the Rainy Day Fund to public education, undoing a long-standing diversion of the state’s 20-cent gas tax, of which a nickel currently goes to schools. The measure has the backing of the House’s lead budget writer, state Rep. Jim Pitts, R-Waxahachie, who has signed on as a co-author. Pickett's proposal could draw support from some House Republicans who had opposed additional funding for TxDOT during the regular session in part because the measures didn't end the gas tax diversion. Yet those same lawmakers may be wary of any proposal that reduces the funding stream to the Rainy Day Fund, widely regarded as the state's savings account. For either proposal to pass, they will need to muster strong bipartisan support as both amend the state’s Constitution, a move that requires the backing of two-thirds of both chambers.